Plenty of breakfast foods can seem a bit scary: black pudding (what is it?! ), sausages (what’s in it?! ), Boo Berry (ghosts!) But pancakes? They’ve never really seemed that intimidating. 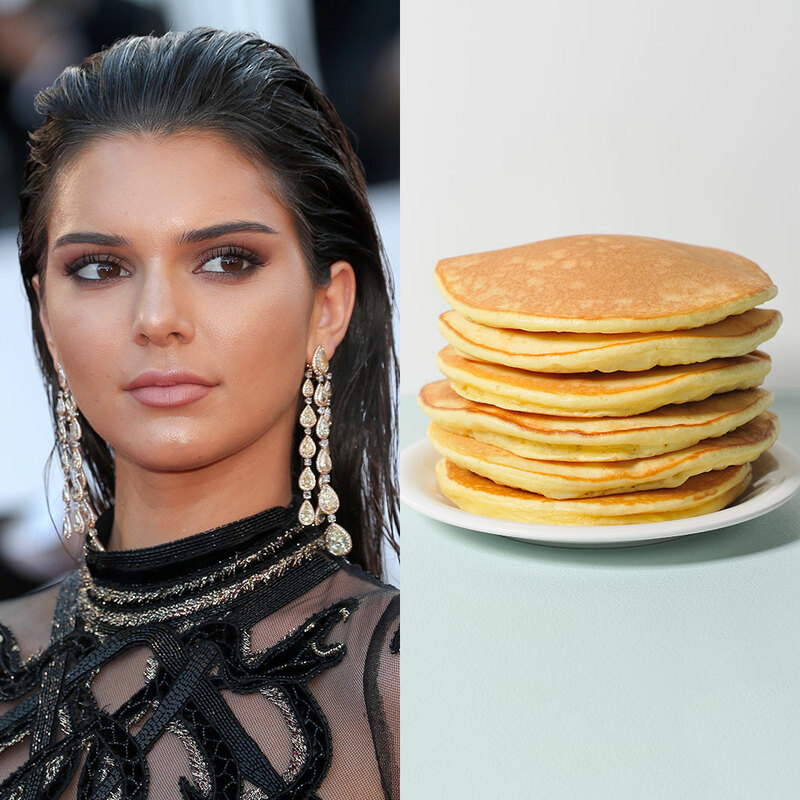 However, Kendall Jenner (of you-know-which family) recently revealed that she is afraid of pancakes – and, believe it or not, millions of other people may be too. In a recent post on her blog entitled “My Biggest Phobia,” the model and reality TV supergroup member revealed that she has trypophobia, a fear of clustered holes or bumps – such as the air bubbles you might see on a pancake. “Anyone who knows me knows that I have really bad trypophobia,” she wrote according to Page Six. “Things that could set me off are pancakes, honeycomb or lotus heads (the worst! ).” So much for your dream of hanging out with Kendall Jenner at IHOP. “It sounds ridiculous but so many people actually have it,” she was also quoted as writing. And in fact, according to Tech Insider, she’s right. Up to 15 percent of people may have the condition, with women being affected more than men. If true, that means tens of millions of people could suffer from trypophobia in the US alone. Who knew such fear of pancakes existed? “I can’t even look at little holes — it gives me the worst anxiety. Who knows what’s in there?” she continued. Um, I don’t know… Delicious little pools of maple syrup maybe? Of course, the scariest revelation of all is what I uncovered when I tried to verify the quotes from Kendall Jenner’s blog post. True story: You have to pay $2.99 a month to read Jenner’s blog. And she’s not even the interesting one in the family! That said, the model does advertise that subscribers get “the truth about rumors, straight from me.” How can you put a price on the truth? ?